Sriracha, Vietnamese chili sauce, Thai hot chili sauce, Roast Sauce, Flying Goose sauce. 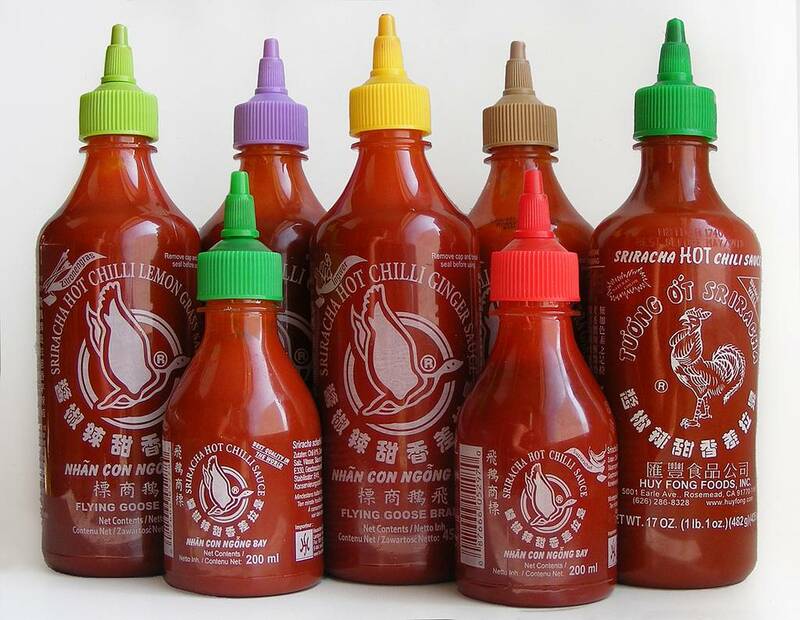 Sriracha sauce is a spicy, tangy chili sauce made from chili peppers, garlic, vinegar, sugar and salt. In Vietnam they do phở in the noodle soup, spring rolls and rice spring roll. In Thailand as a dipping sauce for all kinds of food and snacks and use the west erste countries for fast food snacks. It can be combined with mayonnaise, ketchup, pesto, cream cheese, butter, sour cream and it is used as a dipping sauce. For more information on the E-cookbook "The sriracha Coobook" Randy Clemens. Below you will find a video with sriracha recipes.